If you were to emulate a musical Bruce in a highly-conspicuous manner, would you go Eagles with Hornsby, Iron Maiden with Dickinson, or my preferred option, Anfield Rap with Grobbelaar? On “Holding On”, Adam Granduciel sings, ‘When we talk of the past,/ What are we talking of?’ Considering the rich seam of retrospective Brucey options open to him, Adam Granduciel chose the Springsteen option. Again. If the album’s title is inviting us to develop a ‘deeper understanding’ of the band, we are expected to gain that through a lengthy exposure to their music (seventy minutes). Of the ten songs, only “Knocked Down” comes in under five minutes forty. There’s a lot of ‘space’ on these tracks, but it’s more akin to how there’s a lot of ‘space’ in space than pleasant lebensraum. Granduciel is a known perfectionist and the album never sounds anything other than thoroughly fussed over, but if more of the songs had dynamism and variety, rather than orbiting around the same chords and riffs, we’d be able to generate a deeper excitement. “Up All Night” begins with some “Tango in the Night” synth action, whilst “Pain” epitomises the guitar sound on the album. It gives us the first soaring Granduciel solo, whilst also abounding with the beanbaggy, soporific guitar bed upon which the album luxuriates. Early single, “Holding On” provides the high point. Thrust onwards by drums and one of Dave Hartley’s many stand-out basslines, with its twinkly glockenspiel, it examines how love and nostalgia can walk awkwardly hand-in-hand. A similar urgency can be found on “Nothing to Find”, as well as growling harmonica and some closing Dire Straits “Walk of Life” synth loops. The reverb-rich piano opening of “Knocked Down” makes you expect a gravelly rendition of Minnie Ripperton’s “Loving You”. It turns into a rather moving, slow and steady, pathos-laden rasp about always being thwarted, pursuing some self-esteem hoover or other. 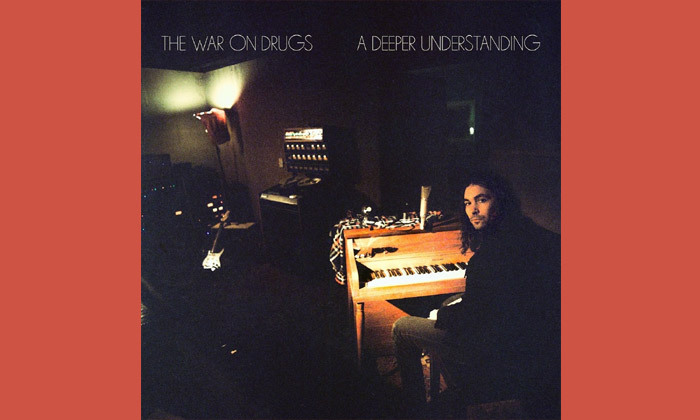 Considering the forty-a-day vocals on a track named “Clean Living”, you can definitely say that The War On Drugs’ do irony. “A Deeper Understanding” feels like a nice lie-in – one of those mornings where you drift in and out of consciousness until brunch time. It’s also like some excellent soundtrack music lacking the completion of its accompanying images. If denim could make a noise, this record is what it would sound like.